So, you’re thinking of moving to Chicago, huh? Or maybe you already live in this amazing city, but are thinking of checking out a new neighborhood? Either way, we have you covered. 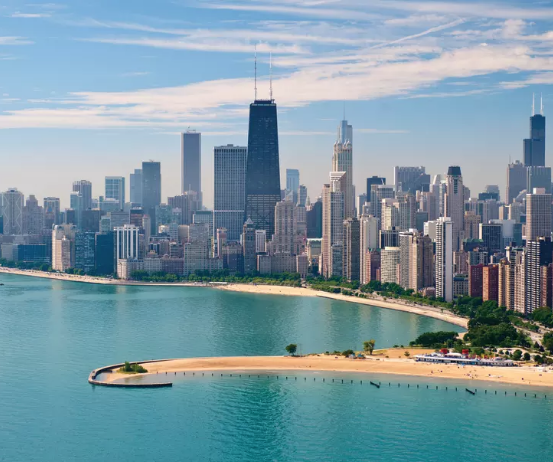 Chicago is well-known for its awesome sports, delicious pizza, art and culture, and exciting nightlife, but choosing a neighborhood with your favorite things can be overwhelming. Here’s our guide to Chicago neighborhoods tailored to your interests. If you are looking to live in an area that is full of culture and art galleries, you should consider living in Wicker Park/Bucktown, or Humboldt Park. Wicker Park and Bucktown are known for their live music, nightlife and countless art galleries. The Flat Iron Arts Building is housed within the borders of these neighborhoods and allows people to come look inside artists’ studios on the first Friday of each month. Humboldt Park is a cultural epicenter of proud Latino tradition. This neighborhood is decorated with murals, the place to find authentic Latin dining, and is home to the Institute of Puerto Rican Arts and Culture. If you are looking to live in a neighborhood that has tons of activities and fests, check out the following neighborhoods: South Loop and Lincoln Park. 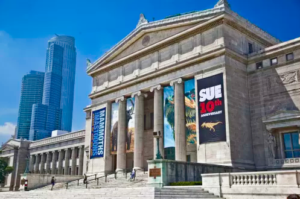 South Loop is home to the Field Museum, Adler Planetarium and Shedd Aquarium making it a perfect location for anyone looking for fun day activities. Grant Park, located within the borders of South Loop, hosts some of the biggest events of the summer, such as the Taste of Chicago and Lollapalooza. 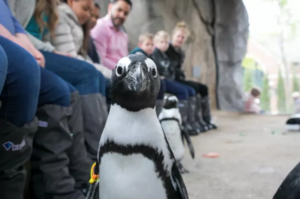 Lincoln Park is famously known for the Lincoln Park Zoo, one of the few free admission zoos in the United States open year-round. The neighborhood is also proximal to the lakefront trails and beaches. If you are looking to live in a lively area filled with popular restaurants, there are plenty options for you! Pick one of these neighborhoods: Fulton Market or West Loop. Fulton Market is home to many award-winning and trendy restaurants, such as the Girl and the Goat or Beatrix, making this neighborhood a hot spot destination. You can read more about what’s happening in this enticing Chicago neighborhood in a previous blog post. West Loop has taken a transformation from factories and warehouses to one of the fastest growing neighborhoods. Randolph Street is now known as “restaurant row” offering a variety of different foods and restaurants. If you’re all about experiencing Chicago nightlife, then River North and Streeterville are for you! River North is not only known as the go-to gallery district, but also the go-to location for a night out in the city. Locals can find new clubs, upscale bars and lounges to make any night out in the city an interesting one. Streeterville is home to Navy Pier which has plenty things to do, including a beer garden and evening fireworks. Beyond the pier, there are endless dining and nightlife venues to indulge in. If you want a neighborhood full of charm, quaint coffee shops and small businesses, check out Logan Square! Logan Square is a charming neighborhood full of history with a modern twist of Instagram worthy coffee shops and dive bars. 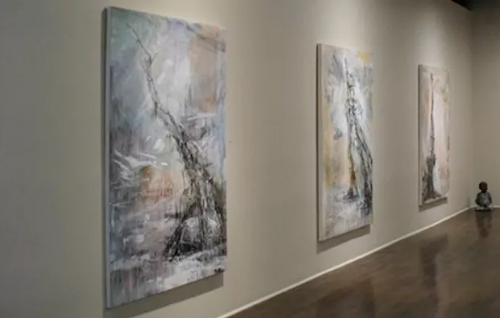 This location promotes the arts and music culture represented in the area by having galleries showcase local artists and rising local bands perform at street fests. If living close to the lake with easy public access appeals to you, then you’ll enjoy Edgewater or Lakeview. Edgewater is located further away from the city and spans for miles along the lakefront. It’s famous for its stretch of beaches and beautiful views along with a chill neighborhood vibe. Lakeview boast an incredible lakefront community. There is easy access to scenic lakefront trails, boat harbors, beaches, and abundant public transportation woven into these energetic neighborhoods. If you are looking to live in a historic Chicago neighborhood, then Ravenswood or Old Town are the places for you. Ravenswood has a rich history that has remained through the transformative years of the city. The area having been developed in the 1800’s still has the courtyard-style of the era and Victorian-styled homes. Old Town, cleverly named, is a historic district on the North Side. This area has the perfect combination of old and modern with Victorian-styled buildings and plenty venues with a lively nightlife. In addition to the neighborhoods highlighted, there many, many more great neighborhoods to be explored. If you are looking to live or move in the city, use our guide to help you start your search! You can also reach out to one of our experienced agents, we’re experts on this kind of thing! If you think you’re ready to start looking, you can search all of our listings and filter selections out by location.